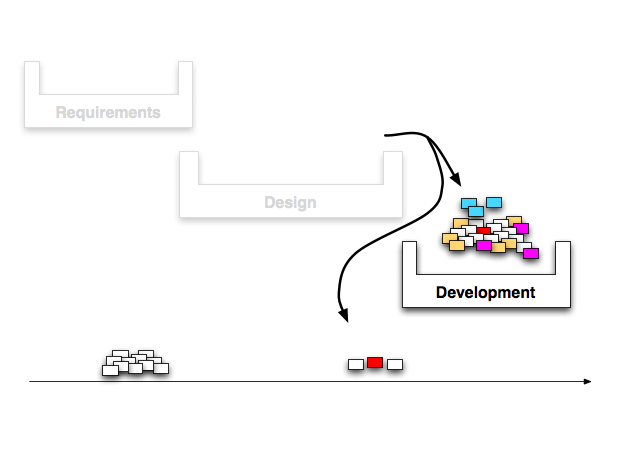 I’ve always loved this stuff, and it needs to creep more in to the world of Software development more. 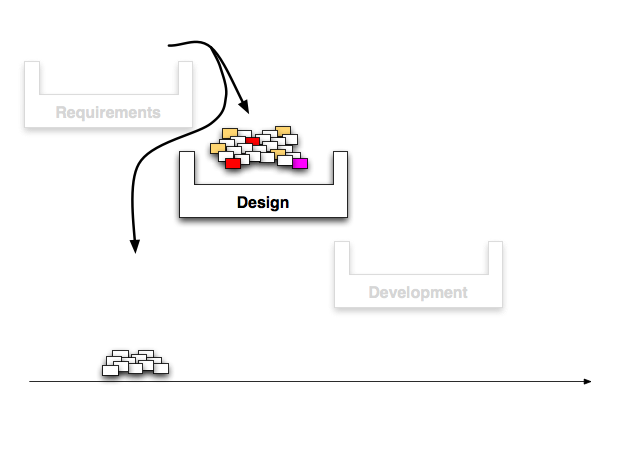 Whereas the Agile industry has presenters and educators galore on this topic, the visuals need working on I think. While Clarke Ching , Robin Gibson , Richard Durnall , Jason Yip , Ross Pettit (three are ThoughtWorkers, one is Ex, and one is a friend-of TW) have directly or indirectly published/presented on the Theory of Constraints and its applicability to Agile, I can’t help but thing that Tom’s Flash game/demo is an incremental step forward for the visuals. It is the game-like nature to it, and the cards flying left to right on a Story wall to illustrate Work in progress (WIP) that appeals to me most. It really drives home the cost of the WIP concept. Now here is a question - work in progress compounds cost, but how much so? I feel that such compounding can potentially increase your total costs ten-fold if you were doing worst-practice development. It might be that you have added in more than development fees to that cost structure, as time-to-market and goes-live-with-wrong-functionality all have cost aspects to them. Robin Gibson I think had it right when he talked of “Throughput” being the ultimate thing that Agile and Lean are trying to increase. Specifically throughput of ideas to production and a positive effect on the profit and loss statement for a company. What I want to see next is the same visual ideas applied to Waterfall. That would be a stack of requirements being worked on..
Three items were cut after longer than expected design stage. Two were perfectly good (Murphy’s law again) and one was bogus (phew!). More items have been hastily added (how come nobody noted these at requirements gathering??? ), there’s been more re-requirements and re-design (purple). The point is that each stage has compounding costs born from the lack of prescience of the otherwise decent team members. 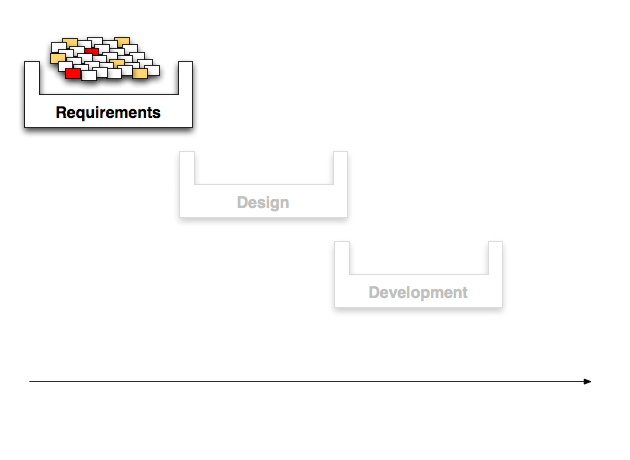 Re-work in development is 100 more costly that rework in requirements. Similarly, functionality that was not actually required reaching production is costly, as is making an arbitrary cut of features that the business may actually want but cannot afford until phase 2 (in 18 months time). I’ll spare you the following waterfall stages. You have already guessed that each stage will length and be full of increasingly costly mistakes. People will be fired at the end. A decent percentage quit without prompting long before the end. Top level management will judge the whole thing a failure and heap more managers and more process onto the rewrite just to make sure this type of thing never happens again! In summary Waterfall is about the needs of the business being decimated at various negotiation points and assaulted over a lengthening timescale as latent defects are compounded while very occasionally being spotted during the flow, with everyone going from youthful and optimistic to gray/bald and burned out along the way. PS - ThoughtWorks’ staff were at Agile 2009 in force and made many presentations. 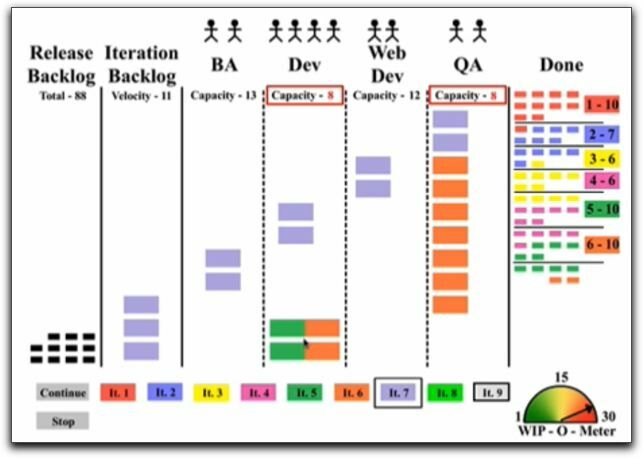 Check out our Agile 2009 page.